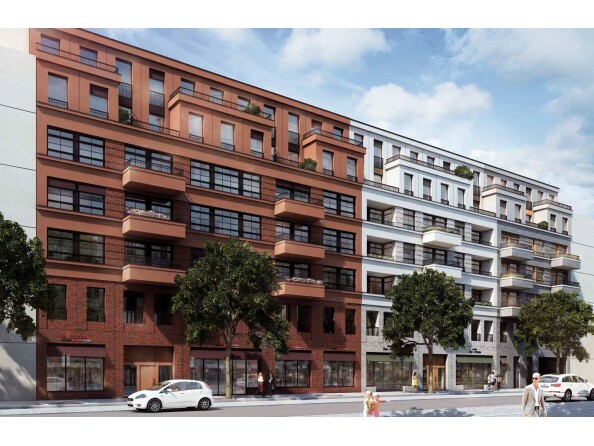 G40, with its many one- and two-room units starting at 25 sqm, is very centrally located in Berlin, and offers the fundamental conditions for a very profitable investment. The infrastructure near the project, including nearby subway stations, shopping, cultural institutions, schools and nurseries, is excellent. There are also several green oases, such as the Park am Gleisdreieck and Berlin’s Tiergarten within easy walking distance. As G40 is so close to the shopper’s paradise, KaDeWe, and Potsdamer Platz, it is ideally positioned to satisfy the high demand for well-designed, smaller apartments in popular and central locations.